A shot of a bust of Charles Dickens precedes a series of interior studio-shot scenarios which narrate the changing fortunes of two families - the Dorrit's and the Clennam's - and the resulting love match between 'Little' Amy Dorrit and Arthur Clennam. The static shots are introduced by lengthy intertitles and are interspersed with intertitles expressing characters' dialogue. Little Dorrit (1920) was made by the Progress Film Company at the Shoreham Beach studio complex. This original film was made on 35mm for general cinema release. Seven years later the film was compressed for the 9.5mm Pathéscope Home Cinema market. Unfortunately the original 35mm film no longer exists, with only a handful of the 9.5mm versions having survived. A few years ago Screen Archive South East had the good fortune of borrowing one of these 9.5mm films, making negative and positive prints from it. These prints are now held in the Archive's climatically controlled vaults. The 1920 production of Little Dorrit exemplifies the film style which dominated the latter-half of the silent cinema era. The standardisation of cinema in the 1910s led to the dominance of particular film types. Fiction films became based on a Hollywood model which emphasized classical narrative structure, genre, the star-system and studio-produced products. Consequently, literary adaptations were favoured by fiction film-makers during the teens and 1920s - their typically melodramatic narratives provided all the elements desired by classical narrative cinema. The novels of Charles Dickens, including Little Dorrit, proved to be highly popular with the cinema industries on both sides of the Atlantic at this time. The Progress Film Company, which made Little Dorrit (1920), was a British production company based at the Shoreham Beach studio complex at Shoreham-by-Sea between 1919 and 1922. The complex - the only one of it's type in West Sussex - comprised studios, darkroom facilities, a preview theatre and accommodation for cast and crew. In many ways therefore it mirrored the Hollywood studios, albeit on a smaller scale. The professional facilities at Shoreham enabled the Progress Film Company to produce seventeen features for the British market between 1919 and 1922. The Company's product was typified by ambitious film adaptations of classical novels such as The Mayor of Casterbridge (1921). Many of their films achieved great critical acclaim. Little Dorrit (1920) originally ran for approximately 68 minutes, comprising elaborate sets and costumes, studio and location filming and a cast of notable British actors. Amongst the actors were Lady Tree, the widow of famed actor Sir Herbert Beerbohm Tree and the silent screen star Joan Morgan. Joan Morgan, who was only 14 years old when Little Dorrit (1920) was made, had had her film career mapped out by her father Sidney Morgan. Sidney Morgan was the director of production at Progress and was heavily involved in all aspects of Little Dorrit (1920). Joan Morgan's portrayal of Amy Dorrit received substantial praise and led to the offer of a five year Hollywood contract - an offer which was rejected by her father. Her star faded following the closure of the Progress Film Company in 1923 and the introduction of sound in 1929 - she went on to take up successful careers in writing (under the pseudonym Joan Wentworth Wood) and property conversion. Joan Morgan was the last surviving British screen star who had worked prior to the First World War; she died in 2004. Dickens, Charles. Little Dorrit. Rev. ed. London: Penguin, 2003. The book from which Little Dorrit (1920) was adapted. Description. This book has a section on film-making at Shoreham during the 1920s, including information on the film Little Dorrit (1920). Copies are held at West Sussex Record Office, Chichester and Screen Archive South East. This book contains writings which consider the economic, cultural and political issues of adaptation - it has case studies on adaptations of Dickens' work. A copy of the book is available at the BFI Reuben Library. This book provides information on the various moving image adaptations of Charles Dickens' novels and stories. A copy of the book is available at the BFI Reuben Library. A copy of this book is available at the BFI Reuben Library. 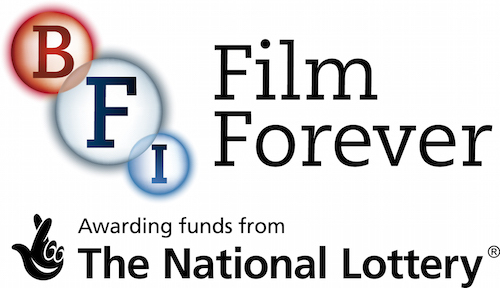 "The British Film Institute (BFI) exists to promote greater understanding and appreciation of, and access to, film and moving image culture in the UK." The BFI's archives includes a collection belonging to Joan Morgan which was donated to the organization following her death in 2004. "The National Portrait Gallery was founded in 1856 to collect the likenesses of famous British men and women". The collection, which is searchable online, includes seven photographic portraits of Joan Morgan. This BBC programme features an interview with Joan Morgan in which she recalls Little Dorrit (1920). This six-part television documentary series about the rise and fall of the European silent cinema features an interview with Joan Morgan. This documentary traces the early years of Hollywood - it features an interview with Joan Morgan. This journal, which is published three times a year, includes articles on all aspects of Dickens' life and book, theatre and film reviews - previous editions have featured reviews by Graham Petrie of silent film adaptations. This edition of weekly BBC Radio 4 film programme looks at British silent cinema - it features an interview with Joan Morgan wherein she recalls her time as the heroine of British silent cinema.